Dutch company, Think! AV, has updated its stock of audio equipment with the addition of a new Vero sound system. It comes ahead of a hectic summer period for the company, which has enjoyed considerable growth over the last five years. Vero by Funktion-One is a vertically arrayable sound system which delivers point source sound for live and touring applications, while utilising the deployment advantages of a vertical array. Vero is a large format touring sound system. It is a complete system – featuring loudspeakers, amplification, rigging and software – that combines outstanding sonic performance and ease of use. Its vertical format means it is designed for the ergonomic expectations of modern touring environments, yet its audio quality and efficiency is unprecedented. 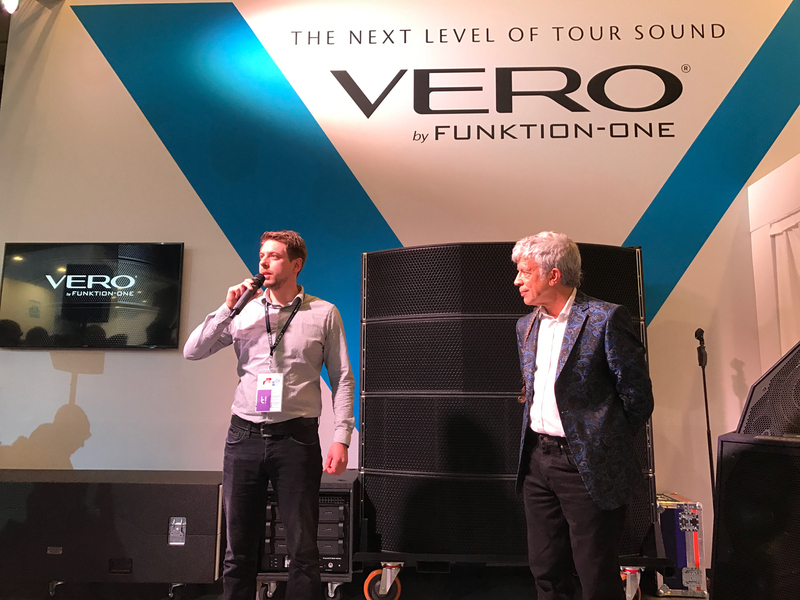 Vero is a new type of system that comes from a new approach to tour sound. Think! AV provides sound, lighting and stage equipment, as well as service support, for a range of events and installed venues. The largest Funktion-One rental company in the Netherlands holds an impressive list of customers, including: Dekmantel, Mysteryland, Welcome to the Future and Club Shelter Amsterdam.